By August 2018 the first full electric commercial canal barge in the world is to be launched in the Netherlands to connect Budel with the Antwerp harbour. 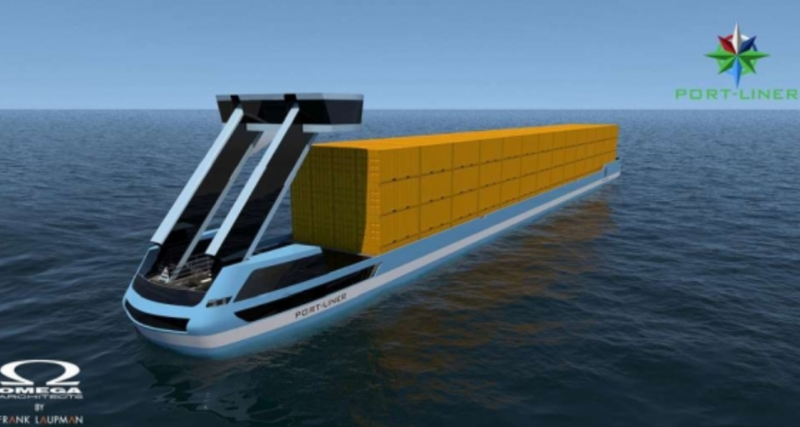 It will be the first of a fleet of five small (52 m long) and six large (110 m) barges that can sail from 15 to 35 hours on pure electricity from battery containers on deck. The canal barges are designed by Dutch naval architects Omega Architects (from Druten), known around the world for their super luxury yachts. The electric development is done by naval electric specialists from Werkina (from Werkendam). The small barges measure 52 by 6,7 metres and can load 24 twenty-foot containers and a bulk load of 425 ton. 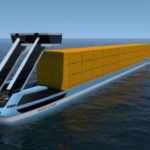 The huge lithium-ion battery is built into a 20-foot container giving the barge a range of 15 hours of sailing. This battery container can be switched by another one at the terminal or recharged. 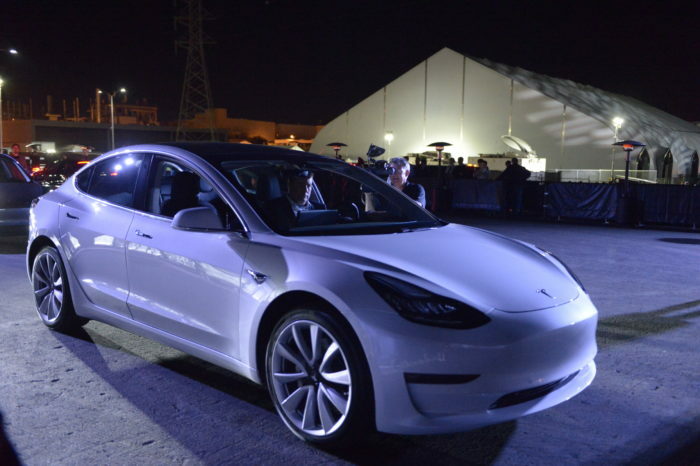 Fully loading the battery takes four hours. The six larger ships measure 110 by 11,4 metres and can take 240 containers, stacked up five high. They have four 20-foot battery containers on deck, which give them a range of 35 hours of sailing. They will be used merely between the ports of Rotterdam, Amsterdam, Antwerp and Duisburg. For the building of these ships Europe is subsidizing the project with 7 million euro. “By the end of the second quarter of 2019 all eleven ships will be put into service”, says Ton van Meegen, CEO of Port-Liner, the company that will rent the barges. “All of them are already fully rented to shipping companies and large container companies. Otherwise we wouldn’t start to build them. We are not a charity organization”, Van Meegen says. Port-Liner’s intentions are to add four more large barges after 2019. The six large barges represent a total investment of 55 million, charging infrastructure and 48 battery containers included. The ship itself costs 3,5 million euro for the large ones, 1,5 million for the smaller ones. To give inland navigation a boast, Port-Liner will offer retrofitting of electric propulsion to replace diesel engines. The e-power boxes in the containers can be leased by the skipper. “We offer complete packages to do this”, Van Meegen says. Google will not translate your brochure – to lengthy. Can please I get a brochre directly from you in English?